Published Jul 28, 2009 by New Riders. Part of the Voices That Matter series. This DVD-ROM takes the approach that there's a real connection between craftsmanship and Web design. Handcrafted CSS (the book) gives frustrated Web designers the ammo they need to convince their clients and bosses to adopt innovative and effective CSS3 techniques that make their lives easier while improving the end user's experience. 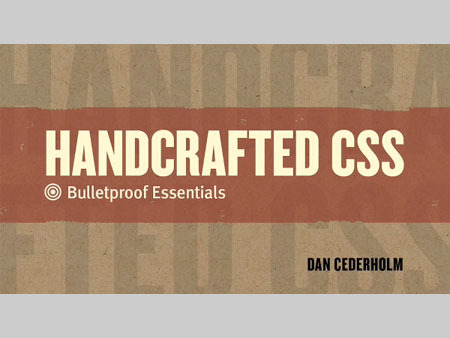 This DVD-ROM builds on the techniques and ideas in the book and takes the viewer further along the path to discovering how CSS craftsmanship applies to Web design. The DVD uses a fictional case study and covers the following topics: Color, Typography, and Microformats.